Home / News / Trillanes excited to face father and son Duterte: "I’m excited to face these people na wala na ako sa Senado." 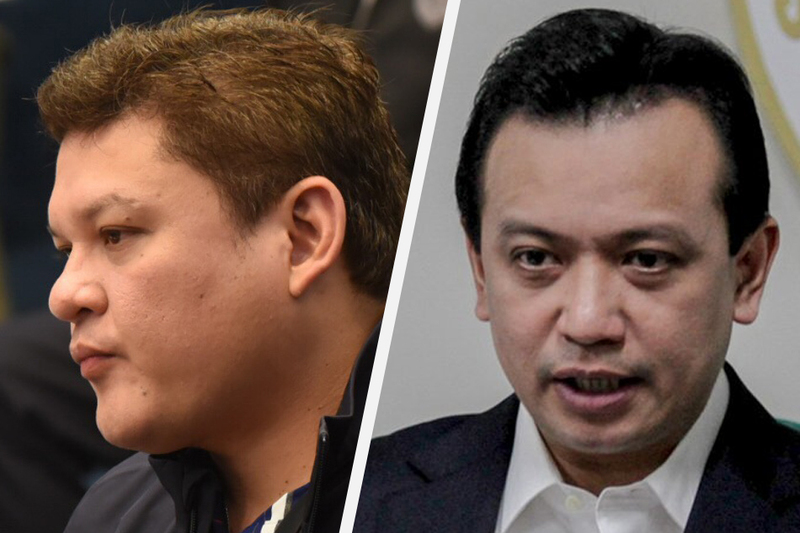 Trillanes excited to face father and son Duterte: "I’m excited to face these people na wala na ako sa Senado." 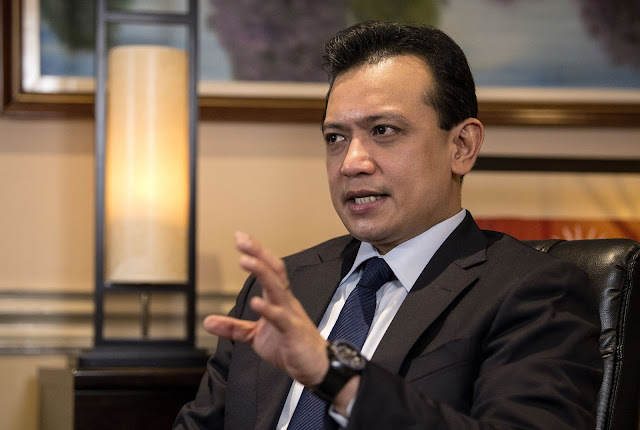 Even when his term is coming to an end next year, Senator Antonio Trillanes IV said that he was prepared to face President Rodrigo Duterte and his son, Paolo “Pulong” Duterte. “Sa akin kung anuman yung balakin nila dyan, I’m ready. In fact, I’m excited to face these people once na matapos na ang termino ko,” Trillanes told reporters. The Senator is confident and said he wanted to show the public that one does not need a title to stand up for what is right. “I’m excited to face these people na wala na ako sa Senado. Ipapakita ko sa taumbayan na hindi mo kailangang magkaroon ng titulo para tumindig ka para sa tama,” he said. 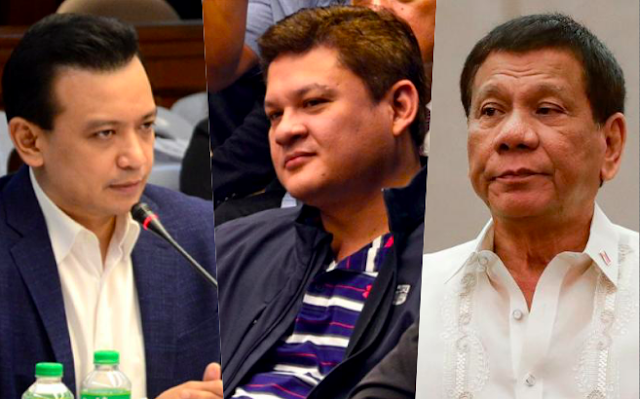 Last week, President Duterte said his son, former Davao Cty Vice Mayor Paolo Duterte, will run for a seat in Congress to seek revenge on Trillanes. "I think he's running for Congressman kasi napahiya kasi. Pinahiya ni Trillanes," Duterte said before the Filipino community in Papua New Guinea. "Pulong gaganti talaga yan. He will be running for Congress, tabla sila doon," The President added. Trillanes renewed his criticisms against the Dutertes telling them to sign a bank waiver. “Sa akin, simple lang naman ‘yung mga hamon ko sa kanila. Pirmahan kami ng bank waiver, ayaw magawa. Gayundin ‘yung tattoo ni Pulong, ‘yung Triad tattoo niya, e hanggang ngayon hinihintay ng publiko. Si Duterte naman ‘yung billion-peso bank accounts niya, wala na, iniiba na ang usapan,” he said. Turning to Paolo Duterte, he said he doubts if the younger Duterte even has a legislative agenda in mind in seeking a congressional seat. "Pag tanugin mo ‘yan kung ano ang legislative agenda nyan kakamot lang sa ulo ‘yan,” he said. Meanwhile, in a Facebook post, the presidential son said Trillanes will be “worse than a non-matter” once the senator reaches the end of his term next year. “He will end his term as a senator like it is a blessing to the Filipino people — perhaps except for the few who believed in the lies he concocted against me and my family. As he is today, he will be worthless,” Paolo wrote on Facebook. “What I seek is justice. I have filed cases against him (Trillanes) and he should man up and face these cases in court. Apart from that, considering the insignificance and uselessness of Mr. Trillanes, I will devote my time to serve the Dabawenyos,” he added. Asked for comment, Trillanes said Paolo's statement is just "drama." He also dared Paolo to show the tattoo on his back, which the senator has said is proof of membership in the triad. "Maraming pa siyang drama. Ipakita na lang 'yung tattoo niya sa likod, period," Trillanes said.